CR9 keeps getting better and better. Our three short days in Interloken were unbelievable and unforgettable. 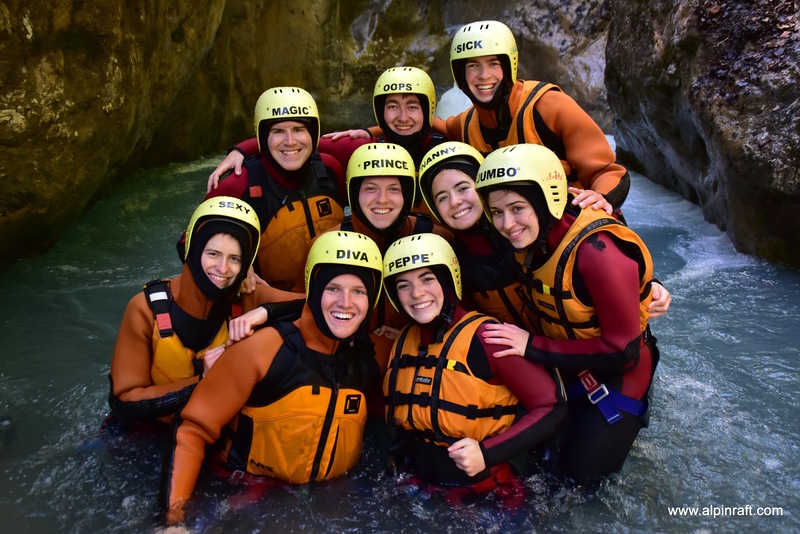 The “once in a life time” activities we got to participate in pushed us all to break out of our comfort zones and make the most of our time in Switzerland. 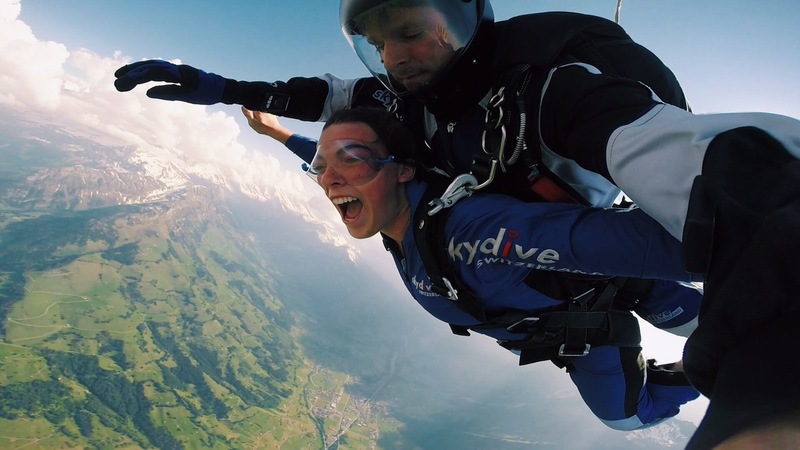 From paragliding to canyoning to skydiving, the CR9ers definitely got our fair share of adrenaline. Growing up I was considered my families “wild child” when it came to exploration. Although I would consider myself an adventurer, I was definitely pushed out of my comfort zone in Interloken. 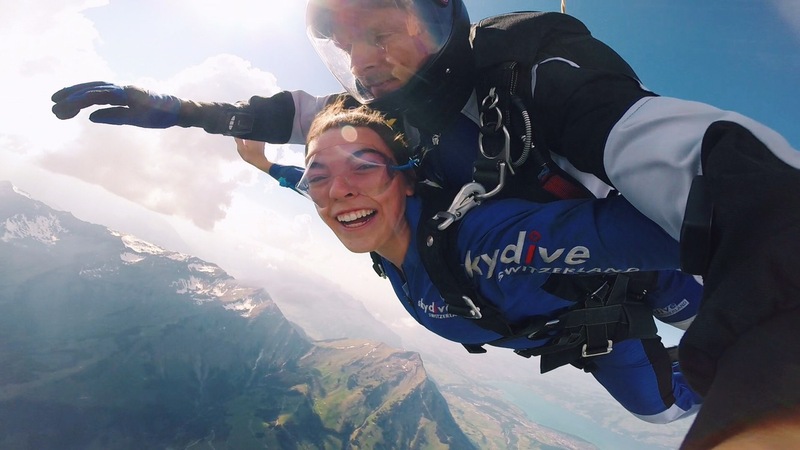 I was lucky to check both canyoning and skydiving off my bucket list all in one day, something many people don’t get to do in their entire lifetime. So, thank you mom, dad, and Dr. P for making my dreams come true and for giving me the best day ever. 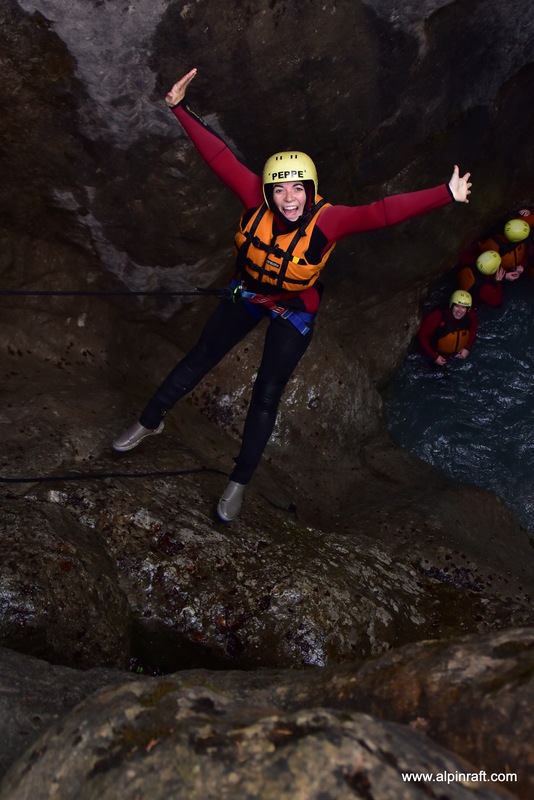 My wild day began with canyoning through the Swiss Alps. 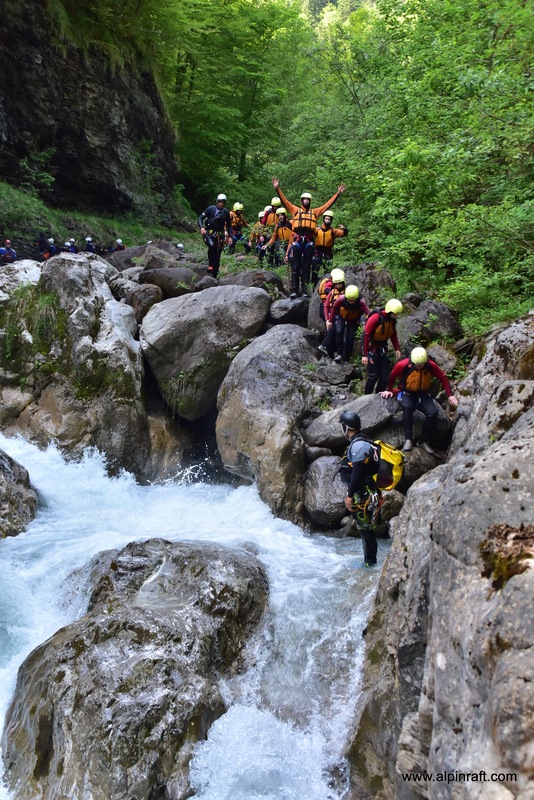 Canyoning is basically a combination of white water rafting, without the raft, and repelling down small cliffs. Wading my way through class one rapids and jumping into nearly freezing cold water actually excited me, but I knew I would feel the nerves right before I needed to jump. 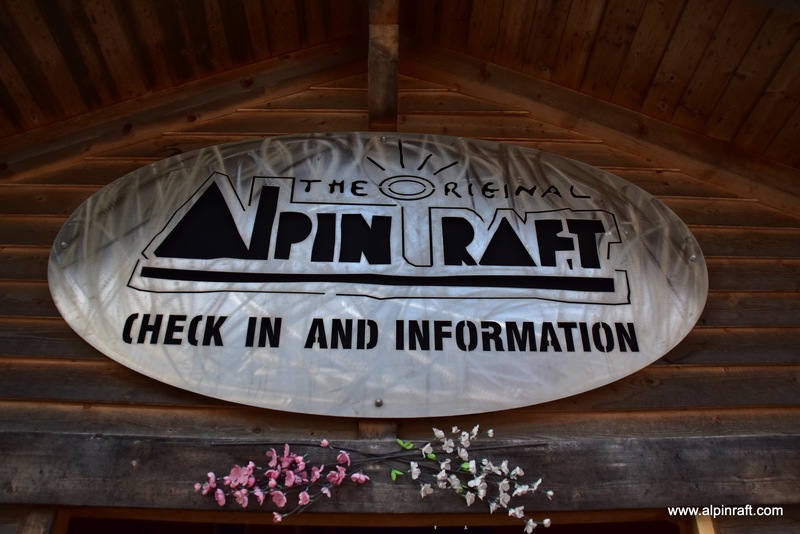 Although there were moments that I felt the butterflies in my stomach and my heart skipped a beat when I hit the water, I did not end up feeling the nerves like I thought I would. In fact, Dr. P and I lead the pack through the canyon. I realized in the canyon that because of my adventurous and fearless spirit, I love stepping out of my comfort zone. Not only this but I love helping others step out of their comfort zone as well. I am a big believer that being confident helps the people around you feel confident as well. 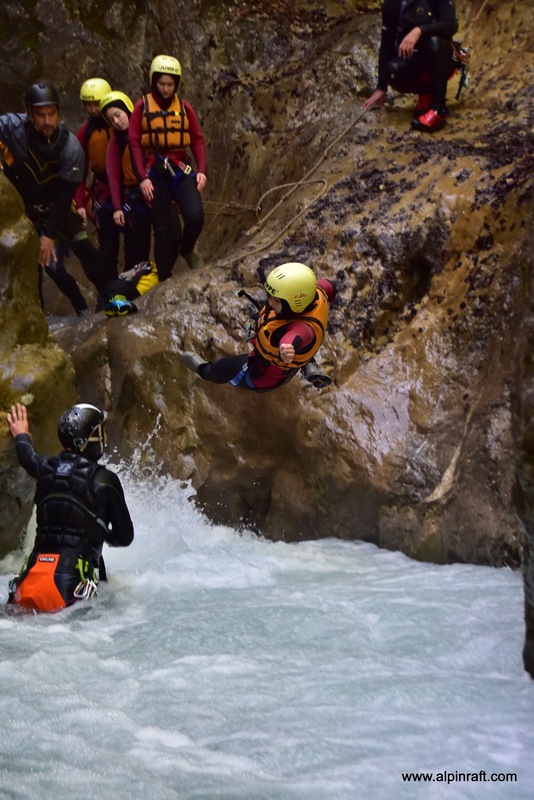 Canyoning ended up being an opportunity for me to pull others out of their comfort zone and help them feel confident about jumping into something new. Next, skydiving!! The moment we arrived in Interloken someone joked about going skydiving as one of our excursions. I immediately got excited about the idea but did not think it would become an real option. Once we finally sat down to look at our options, six of us decided to make the idea a reality. The next day, Will, Davis, Cole, Kate, Cassidy, and I took the leap of faith. Kate and Cassidy went earlier in the day while the rest of us went canyoning. 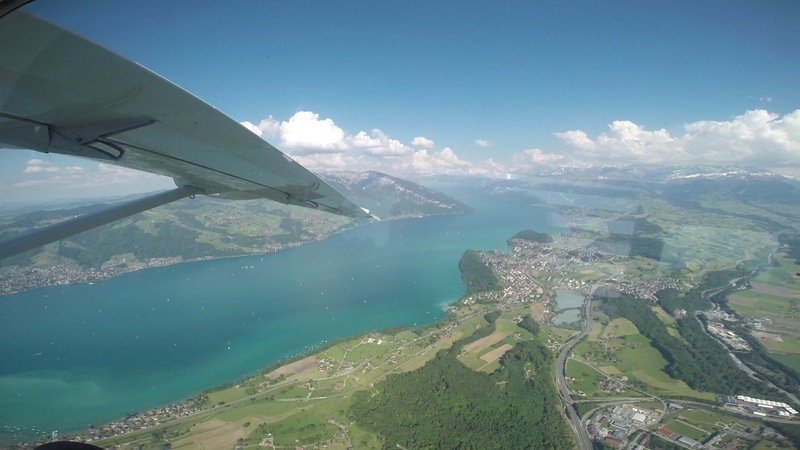 Then around 3:30 the three guys and I got picked up from the hostel and were driven to Skydive Switzerland’s facility. After a short briefing by an instructor we were off! 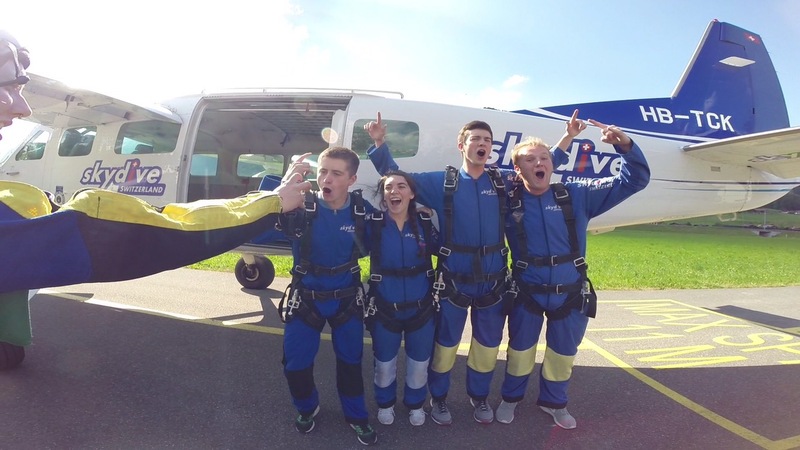 The four of us who went together all got assigned to a tandem master who jumped out of the plane attached to us. 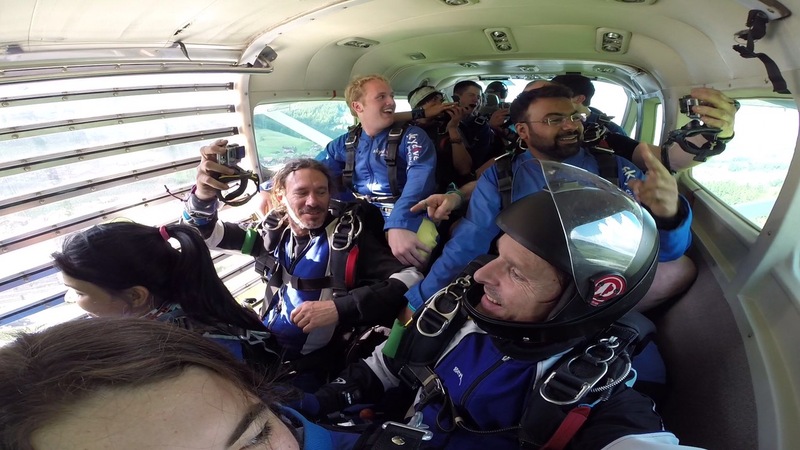 Six jumpers and six tandems all squished into a very small plane and climbed to 13,000 km over the course of fifteen minutes. Then one by one we jumped. I was the first one to go of the four CR9ers in our group to jump. The forty-five seconds of free fall literally fly by. It’s almost impossible to describe what it feels like to jump out of a plane and fall 8,000 km in under a minute. It’s a wonderful combination of flying and falling. Even though I was nervous when we first signed up, I didn’t have any nerves about the actual skydiving the day of. In fact the scariest part for me was the plane ride. Chandler and I experienced “extreme” turbulence on our plane ride from Denver to Munich that gave us both a little PTSD. The same feeling you get in your stomach when a plane drops a little, or in our case enough to lift us out of our seats, is the same feeling you get when you first jump out of the plane, but only for a second. The rest of it is pure joy. 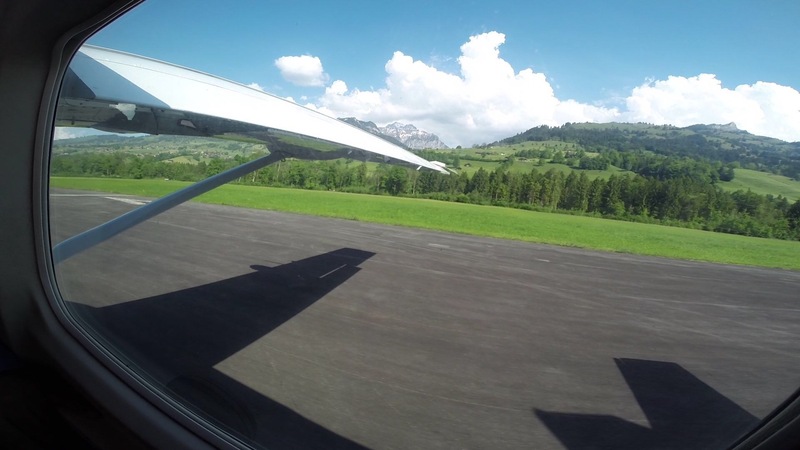 It sounds dumb, but getting on that small, rickety plane was harder than jumping for me. But, thankfully, I got on the plane, overcame my PTSD, and conquered turbulence completely. 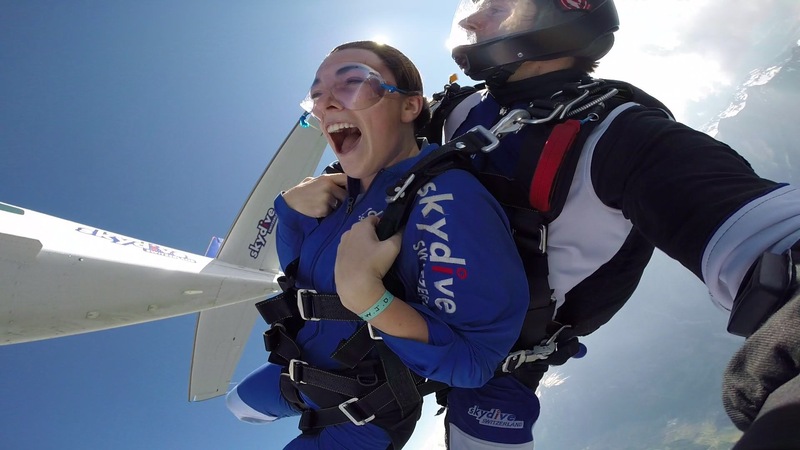 I enjoyed skydiving so much that I’m sure I will be making skydiving a twice or maybe three or four times in a lifetime activity. I am so proud of myself for being willing to try new things and dive face first into it all. Interloken I will be back!